Welcome to the MU Libraries! 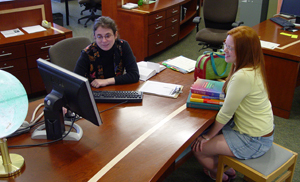 How do the Libraries work and what services and resources you can find in MU Libraries? American library systems are very different from libraries in your countries. We hope you will find this guide useful in your library research and that you have an enjoyable, productive experience using the MU Libraries and its resources. We look forward to seeing you in the library!